In 2009, Matt began to explore and plan an original concept of a video game lounge. This came from his lifelong passion of video games. The plan ended up turning into something else and for the next seven years that plan was put on hold. Finally in 2016, he was inspired to bring life back into this idea. He began planning and developing a new type of gaming immersion that blends traditional gaming with ESports in a way where anybody could have a good time without having to be a pro player. The concept would allow regular gamers, including children, to join teams and have a unique social immersion similar to soccer teams or bowling leagues with the main idea that everyone deserves to feel like a star, even if they don't play traditional sports! Matt teamed up with friends Ray and Jake to help make 1UPX a reality. 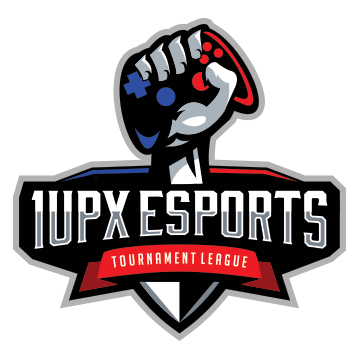 Introducing 1UPX ESports. The "X" is for "Xtreme", which is the best way to describe the original style of competitive gaming you will find at 1UPX events. It is a blend of traditional esports and unique goal oriented challeges. It can be a speed race or a high score attempt. It could be a game from today or a game from the 80's. The only way to find out is to find an event near you and step up to the challenge.